How to make a bootable Usb drive in Ubuntu using Unetbootin ? So guys our list still extending. =>Go to START then type cmd and run as administrator by right click on it. 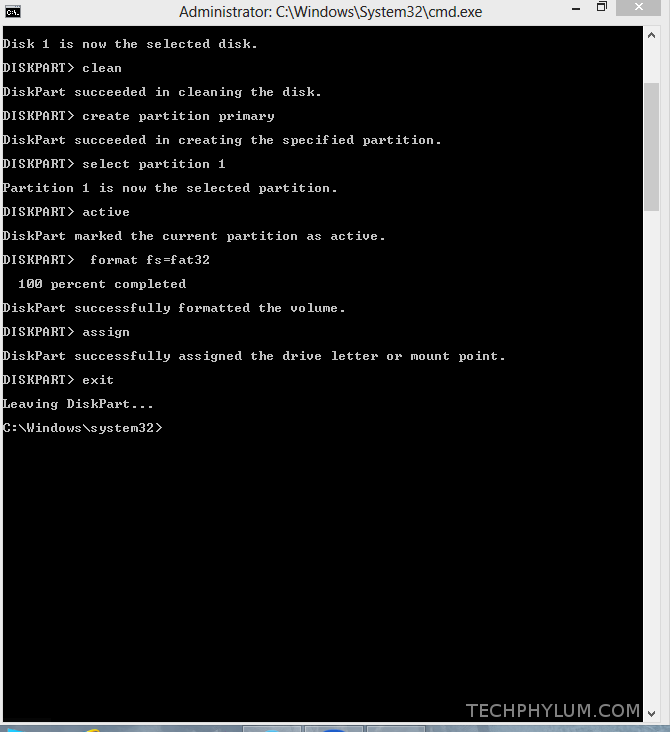 Now select the proper disk using select disk 1 (Disk 1 is the usb drive in my case) command. Type clean and hit Enter to proceed. Now type create partition primary and press Enter and proceed. Next command is select partition 1 . =>Now second last step,just you have to extract all files and folders from .iso file or from cd/dvd in a folder and you just need to command to the bootsect.exe file in the boot folder in the extracted folder. =>Now last step is to copy all files and folders inside the extracted folder of .iso or cd/dvd to the usb drive by normal selection and copy-paste process. So guys i hope this topic is also liked by you so if you got any question related to this post or any post then comment below.